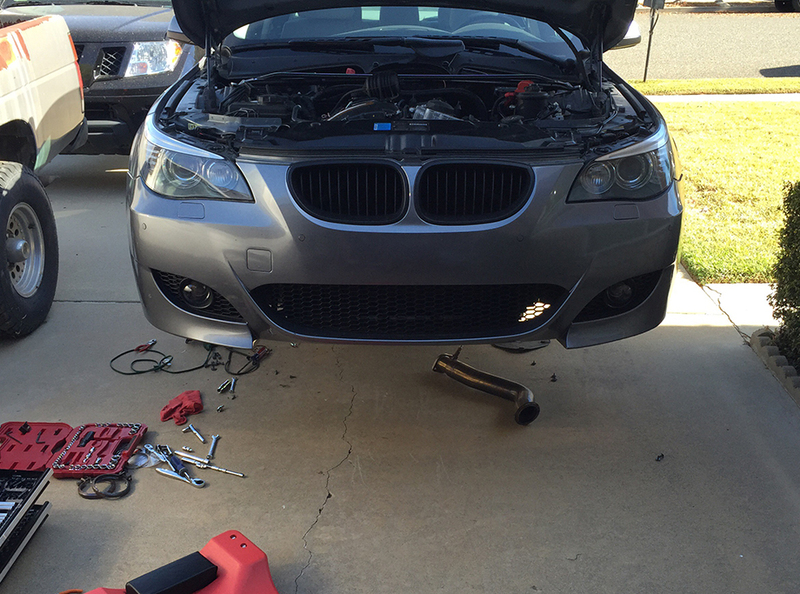 Just finished installing the inlets on the E60 535i a couple days ago. Here is a quick overview of the steps I took to complete the job with minimal tools/parts removal in mind. I started with the rear inlet. Remove cabin air filters plus all shroud pieces and DCI/intake box. Also remove the engine cover. 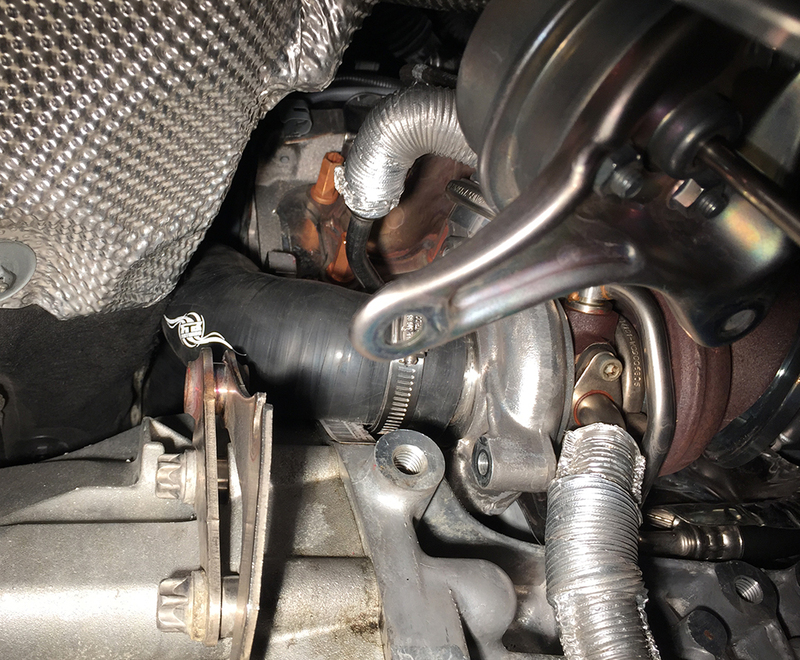 Disconnect OCC if you have one, and disconnect diverter valves from OEM inlets. Loosen the two torx screws all the way on the OEM rear inlet, they may not come all the way out even though they are no longer screwed in. Wiggle the OEM inlet to break it loose from the mounts for removal. Break loose your front wheels' lugnuts and put the front of the car on jackstands. Make sure e-brake is set / back wheels chocked. Remove the front wheels. Remove the two plastic under body panels, one metal subframe plate and one metal ** heatshield to access the *** for removal. You should now be seeing this from underneath. 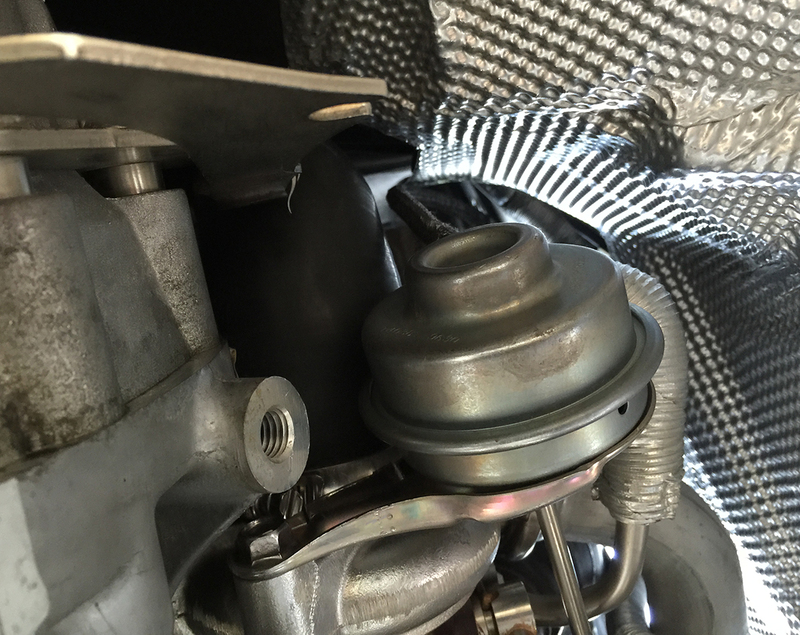 At this point you should remove the wastegate. I got a little more done without removing it, but it's gotta come out anyway so now is the best time. Remove OEM inlet by sawing it into two pieces from below. I started with a small hacksaw but finished by using a reciprocating saw with a 12" blade because there wasn't much space to finish the cut with the hacksaw. It was good to get the cut started with the hacksaw to make sure the power tool blade wouldn't jump. 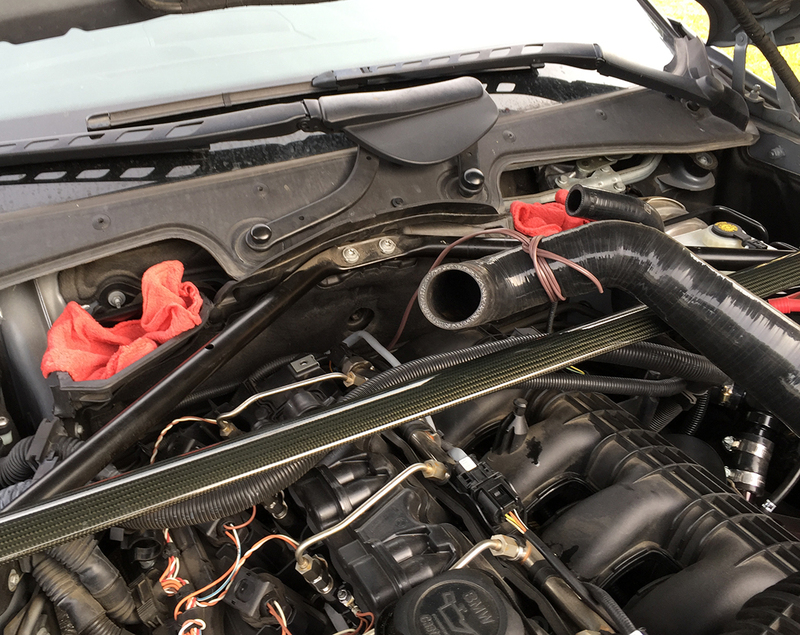 Once cut, pull the inlet out of the top of the engine bay. You should now also be able to get two hands on the stub left over and pull it off of the turbo snout. 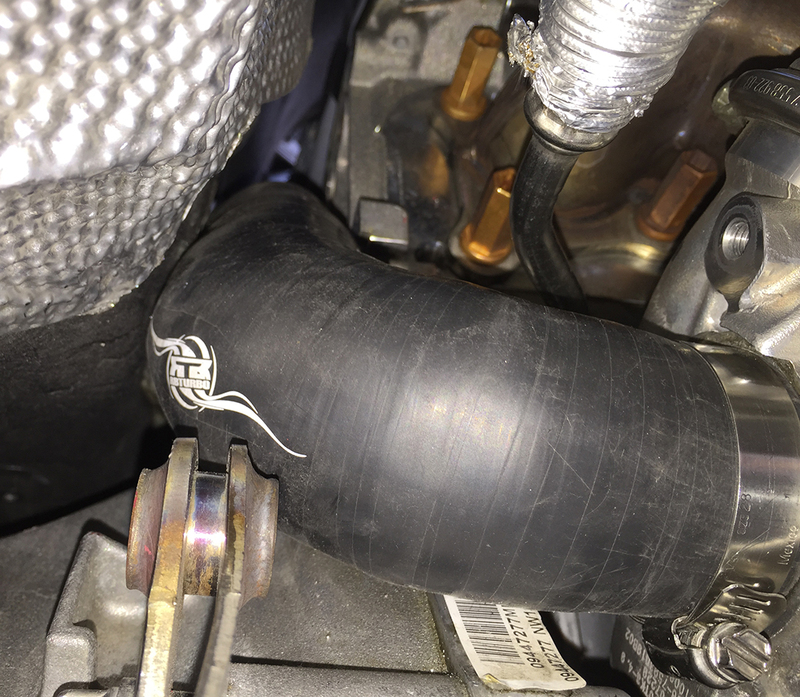 Make sure to wipe/blow out any plastic debris that may have landed in the turbo intake snout during cutting. Installing the inlet. This is not an easy feat. Here's how I did it. Get a length of speaker wire about 8 feet long and tie a clove hitch around the bottom of the inlet an inch or two above the bend. Feed the other side of the wire through the path the inlet will follow and down to the ground. 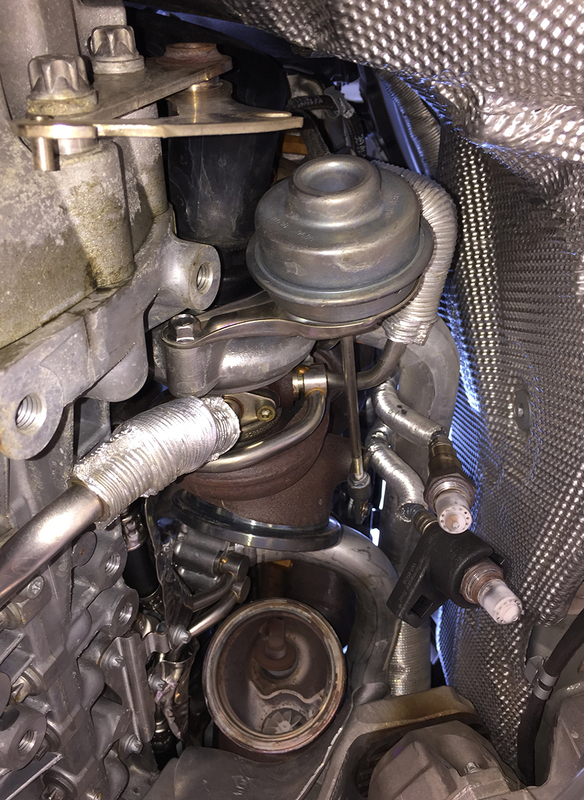 Now, shove the inlet behind the engine at a 45ish degree angle toward the turbo. Shove until it won't budge anymore. Now go underneath and pull on the speaker wire. Thick gloves are HIGHLY recommended for this step. Hopefully the inlet will come in a little bit more until it won't budge. Go back to the top and do more shoving. Down below again and pulling on the wire. Repeat this process until the inlet is in position. Once you get it low enough with the wire, you can get your hands on the inlet and pull. I had to put all my weight on it and yank to get it that last few millimeters and I weigh 210 lbs. Now, put the worm clamp on the inlet and begin to wrestle the inlet onto the snout. To help wrestle the inlet onto the snout, I reused the speaker wire and wrapped it around the bend to help get leverage to push it all the way on. From this position, you have two choices for where to secure the clamp. 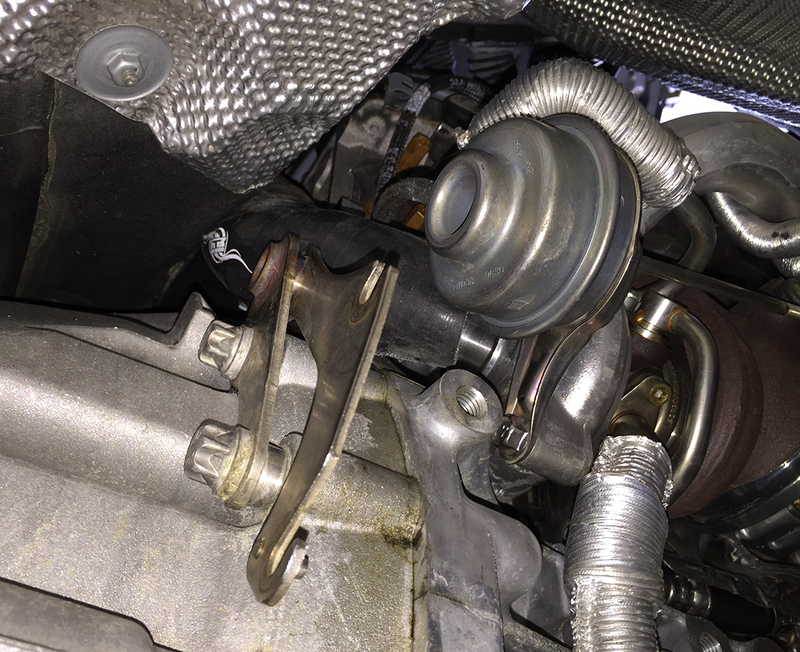 One choice is to cut a notch out of your wastegate bracket to accommodate the worm gear from the clamp so it can be secured closer to the turbo. Choice two is what I ended up with and that is to spin the clamp so the worm gear is slightly protruded by the turbo housing. 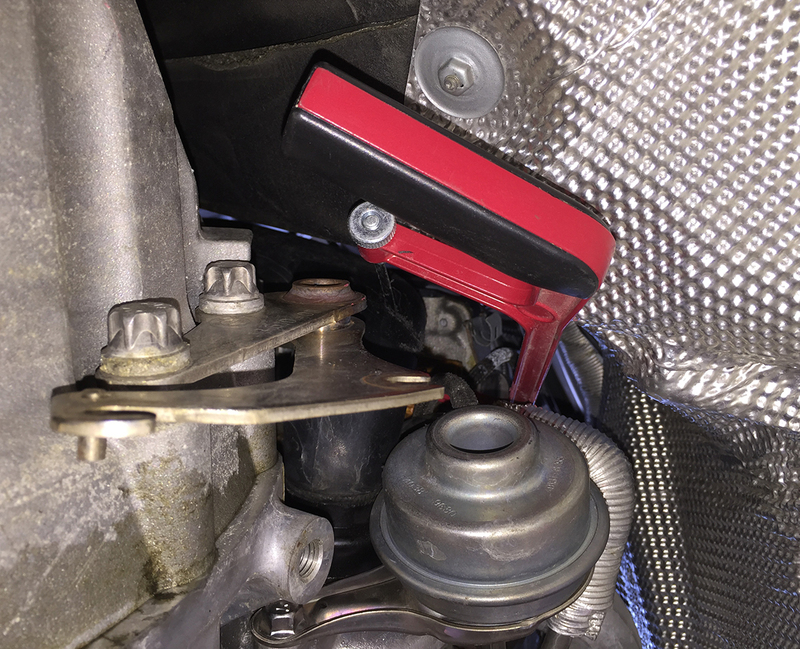 Ideally, the screw on the clamp would be on top but there is no way to access that area with a tool with this install process. Inlet secured, here is the "squish" area. It's more just really really tight than squished. Reverse of removal. You can button everything back up underneath and put the car back on it's wheels. The rear inlet is installed. Leave the engine bay dismantled, the engine cover must remain removed for front inlet install. Freeing the OEM inlet. Air filter and diverter valve should be disconnected already. Unscrew the two torx screws securing the OEM inlet to the car. They may not fall out after being fully unscrewed. 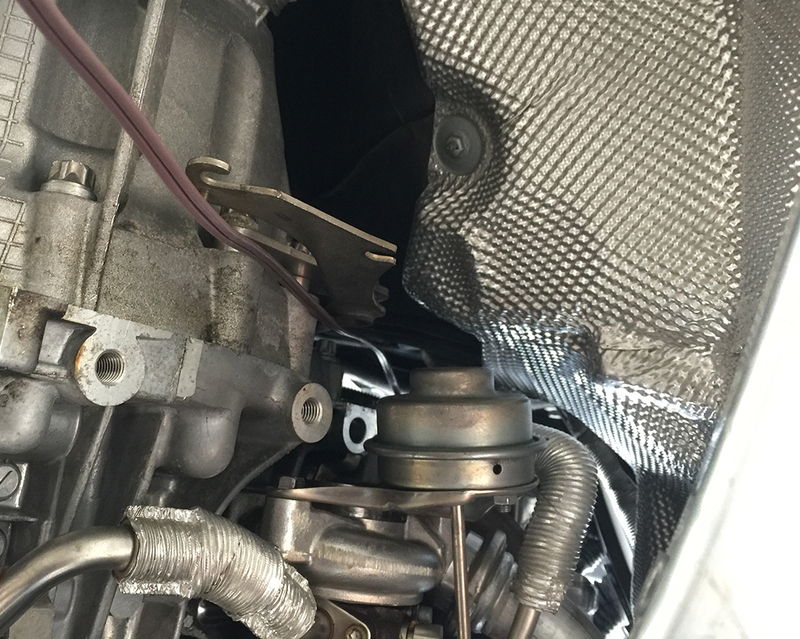 Unscrew the bolt securing an A/C line to the inlet near the turbo intake area. The inlet should now be held on by just the snout. 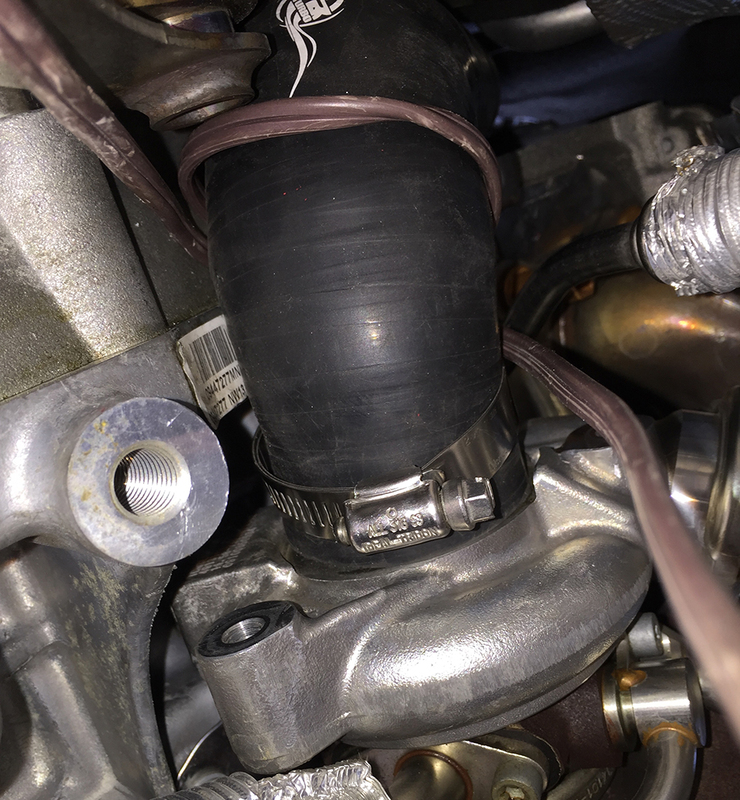 Put your left hand on the snout and your right hand on the filter side of the OEM inlet and rock it front to back to pop it off of the turbo. It should now be loose and ready to cut. I cut the inlet in two spots. I didn't have to remove anything else to get it out after making these cuts. 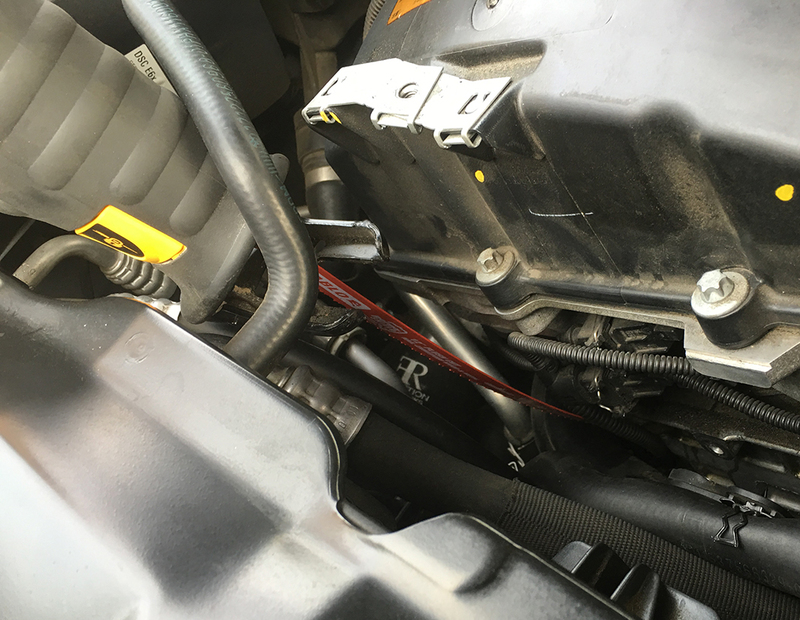 Pull the middle section out through the passenger side of the engine bay. You may be able to get away with only cutting the filter side, but both cuts were easy to make with the 12" reciprocating saw blade. When making your cuts, try not to saw through your chargepipe or anything, that would probably make for a bad time. Stuff that inlet through and into position and put the hose clamp on loosely when the inlet is ready to mount to the snout. It shoves on quite easily. Now position the clamp for tightening. I used almost every extension and adapter in my toolbox to concoct a ratchet long enough to reach the clamp from above and have unobstructed tightening motion. It totally worked. Reverse of removal. Inlets are done! Go have a reward, you deserve it! Very nice DIY! As soon as I got to "Step 3 Remove the ***", I immediately knew silicone inlets weren't in my future. How long did the job take, start to finish? I did it over the course of three days. I knew I would need to get some additional tools to finish the job so I gave myself plenty of time. I didn't install the *** myself originally, so this was my first time doing that as well. I only did the *** on the first day. Probably took me about 2 hours of actual work minus all the head scratching.The next day I sawed out the pipe and wrestled the inlet into place. Removing the pipe was a cinch, took maybe 30 minutes. Stuffing the new pipe took me the rest of the day. I probably should have soaped up the inlet first, it was a very strenuous pull to get it all the way through. My body was in a great deal of pain after finally getting it into place, I took the rest of the night off. The next day I buttoned everything back up and knocked the front inlet out in about 2 hours. If I did it again, I could probably do the front in about 1 hour. Now that I know exactly what's needed, and the best order, I'm pretty certain I could do both inlets in 1 day with a helper. 2 days solo, because of the recovery break I needed after wrestling the inlet. Great DIY, too bad I would not consider doing this job myself looks to be a lot off work, how is the car now? Do you feel a big difference? I am definitely hitting my boost target now. I have only had time to gather 1 log and that was right after I finished the job. I was going to get some dyno numbers this week, but I ran out of time so I will probably do it in early Feb. We will have some definitive before and after FBO dyno numbers after that. Can this be done with out cutting out the oem inlets? Viperware: Way to tackle this on jackstands and in the driveway, respect! If this is a common thing for you may I suggest buying a few cheapo moving blankets to lay down. It happened by coincidence that I had them around (from a move) but laying 2 down makes for quite a comfy setup. IIRC I got mine off Amazon and they have a fairly slick surface and it makes sliding in and out easy and as a bonus they have some hydrophobic properties so if you spill oil or another fluid it will bead up and can be easily cleaned, I had some diff oil which sat for a while and soaked into the blankets but it barely made it through to the concrete. After spending some time working with these blankets I would be hard pressed to find a more comfortable and functional item for the job. Now that your inlets are in it is time to go for that E6X power record you were talking about previously! My wagon is down for a bit for a manual conversion so now is your time to strike! Last edited by ucsbwsr; 12-17-2015 at 03:37 PM..
Good idea to soap the inlet before pulling through. I was thinking of using a little Teflon grease. Silicone is very sticky, but these ***** flex. Wish me luck on Monday. I grabbed some electrical wire already, part of prep kit. Lowering the engine helps a little as well. Be careful not to snag and scrape off a layer on the shielding (no big deal really if it happens a little). Nope, just the metal plate that is attached to the subframe with 5 bolts and the ** heat shield which is 3 smaller bolts. This allows you to reach the other v-band clamp on the ***. Once both are loose it takes a bit of jostling to get them free. If I remember correctly, the rear turbo ** must be removed first and this is the one with the difficult to reach fastener that is accessed through the wheel well and heat shield area. Got a photo of where you're stuck? Ok I got the **'s off two days ago, haven't been able to work on it as I've been out of town. I am planning on pulling the right motor mount to get the rear inlet replaced a little easier. When putting the **'s back on, should I put the o2 sensors in first? They were a b1tch to get out. Also, what order should the **'s go back in? Thanks! Yeah, I bought a cheap-o creeper because I knew I'd be in and out from underneath so much, made such a huge difference, I should have bought a nicer one instead. Blankets are a good idea though, might have to invest in some. I'll get it dyno'd first week of Feb. with some tuning help from Terry. I'm anxious to see the results! Stock snail E6X record would be sweet, right now I'm just trying to catch up Hot side chargepipe is next! I screwed in the O2 sensors after placing the ***. I just twisted the wire a bunch of times the opposite direction and then screwed it in. It took a couple of tries to get the right amount of twists, and it wasn't easy to get it started because of the tension, but I feel this is the most hassle-free way to do it if you have the patience. For the ** re-installation, I think I loosely installed the rear turbo ** first and then somehow wiggled in the front turbo **. You definitely need them both in kind of loose at the v-bands to twist them and get them positioned correctly before tightening them down all the way. So are the results worth the investment on stock turbos? Jb4 G5 map 2, DCI, vrsf down *****, fingers crossed the charge pipe holds! If you are going to wring out as much power as you can from them, then yes, definitely worth it. I would say if you don't have plans to upgrade your fueling then don't bother. But, just like the OEM ***, when you get the stock inlets out you will say to yourself "I can't believe this crap was in my car". I do not have a fuel upgrade but having said that I do run E40 with the BMS Race flash and I personally think this mod was 100% worth it and I would do it again all day long. 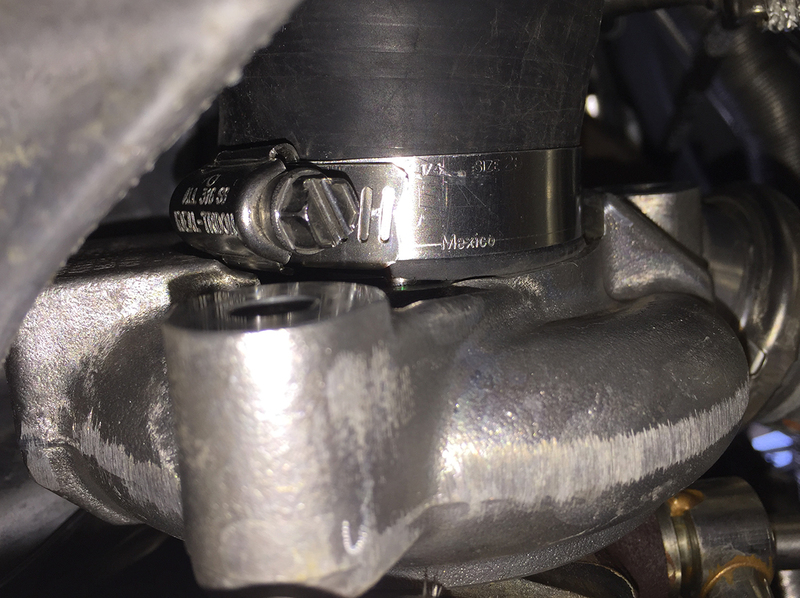 With this mod you end up with more boost in the higher RPM. It also puts less stress on the stockers and that alone is worth it to me. 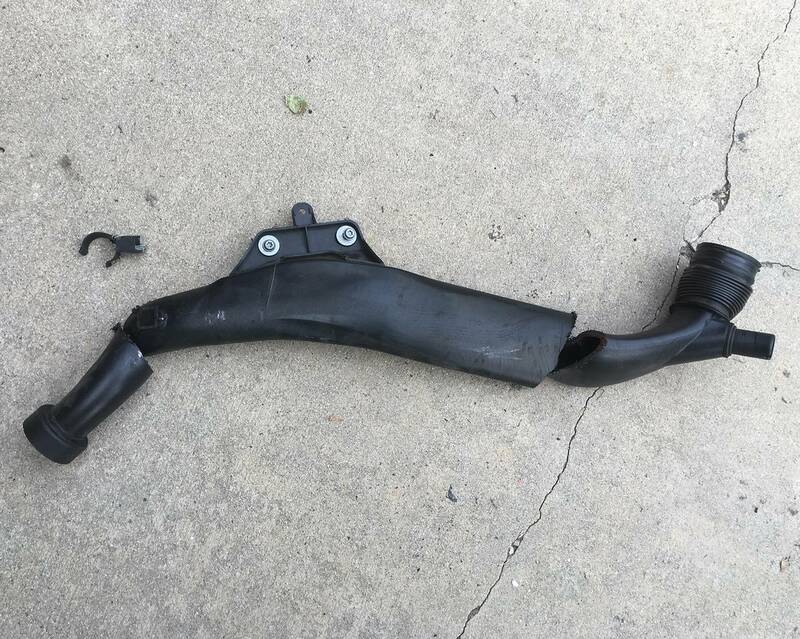 My car loves me for removing those restrictive stock inlets. Do you have a write up on the big tom IC??? how did u cut so high up from the bottom part of the rear inlet? I started with the tiny hacksaw in the picture of step 4 but could not finish the cut with it. I switched to a sawzall with a 12" demo blade on it (pictured in step 2 of the front inlet install) just stuck it in there and pulled the trigger. I'd like to extend a thanks for making this thread with pictures, I referenced this thread more than any other when I was wrestling with my own inlets install. Us 5 series folks need to stick together! We hardly get the love we deserve.